Bink Ink is an independent publisher of quality games and gifts! 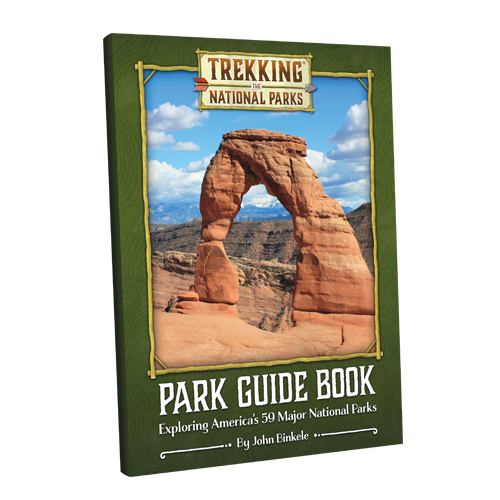 The Trekking the National Parks: Park Guide Book is your complete guide to all 59 of the major parks in America! This comprehensive 64-page guide is packed with beautiful photos and educational articles specially crafted to inform and inspire readers about our country's great parks. Check it out! As artists and craftspeople, we are passionate about our work! Everything we produce at Bink Ink is created with the purpose to spread joy and enhance the lives of our customers. While we are a small company, we are confident our products and top-notch customer service will delight you! And if you are not completely satisfied with anything you may return it for a full refund. Thank you for signing up for the Bink Ink newsletter!